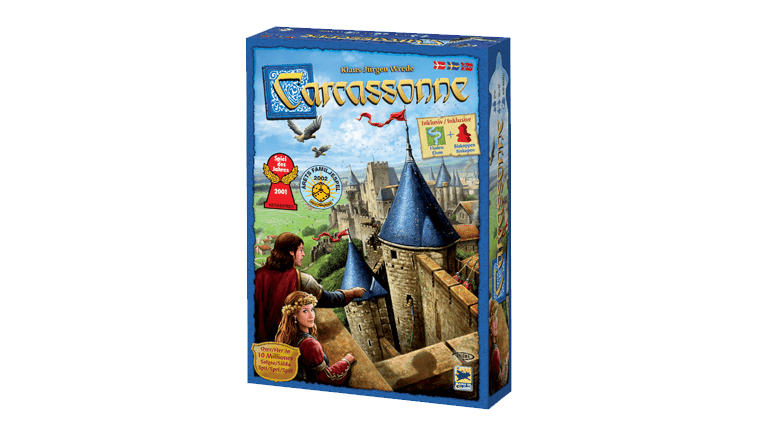 In Carcassonne, players build the area surrounding this impressive city, one tile at a time. They then place a follower on fields, cities, roads or monasteries in order to score as many points as possible. These follow-ers will become knights, monks, farmers and thieves, depending on where they are placed. No matter their function, the player who will most cleverly use their followers will win the game. Entirely redesigned and modernized, this edition includes two expan-sions: The River and the Abbot. 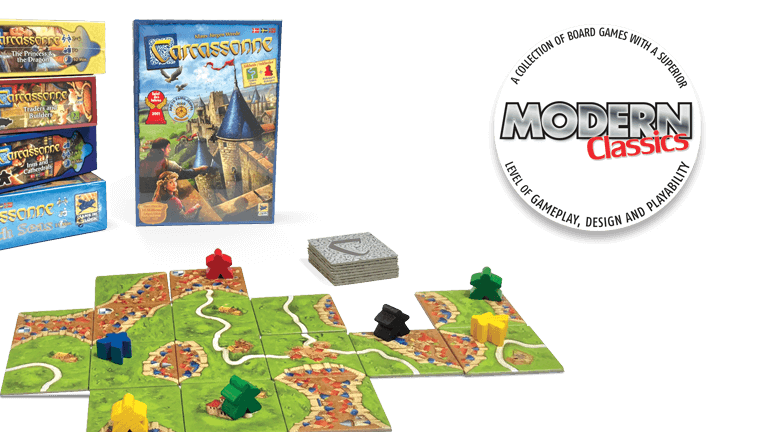 In Carcassonne, players build the area surrounding this impressive city, one tile at a time. They then place a follower on fields, cities, roads or monasteries in order to score as many points as possible.